Underneath The Mango Tree by Jetwing sits nestled amidst coconut and mango trees, overlooking the pristine beaches and turquoise waters of the Indian Ocean. 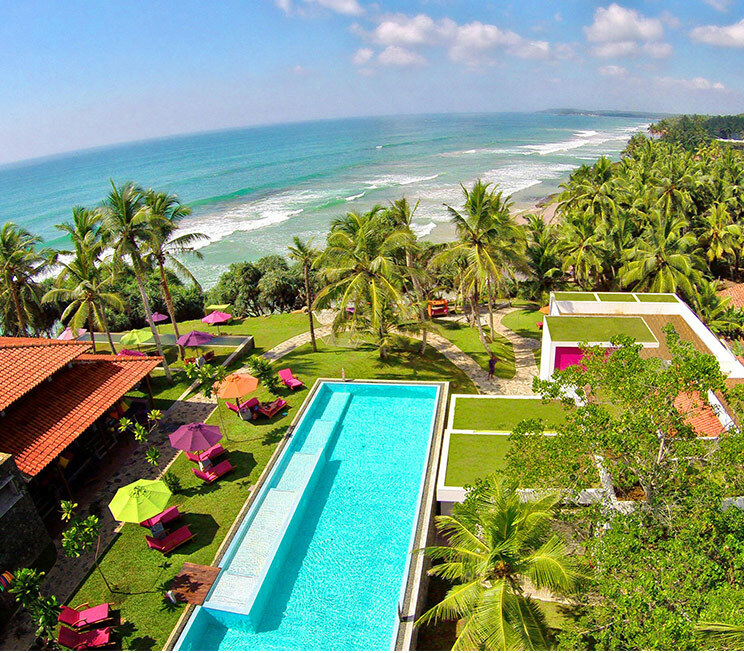 Situated in Dickwella, a small coastal town in the Matara district, UTMT by Jetwing is the ultimate tropical getaway, stylishly and colourfully designed with a complete focus on bespoke Ayurveda treatments. Guests staying in the boutique hotel’s 22 rooms and suites, can lounge in palm sheltered hammocks, sink into a private pool or participate in yoga sessions at dawn, just a few of the simple pleasures at a property that truly caters to all travellers wanting to indulge in complete tropical bliss.